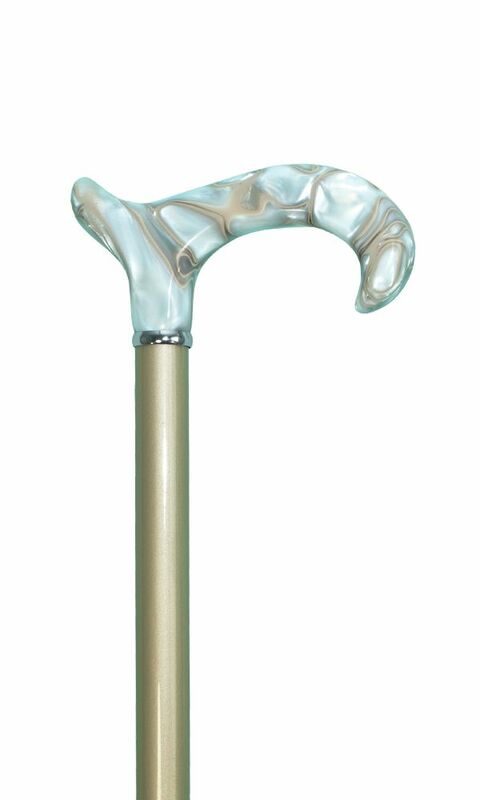 Pearl derby handle wooden walking stick with decorative collar. This elegant stick will enhance any dress outfit. It has a metallic painted beech wood shaft and pearl marble effect acrylic handle. Metal ferrule included. Height 91cm or 36".